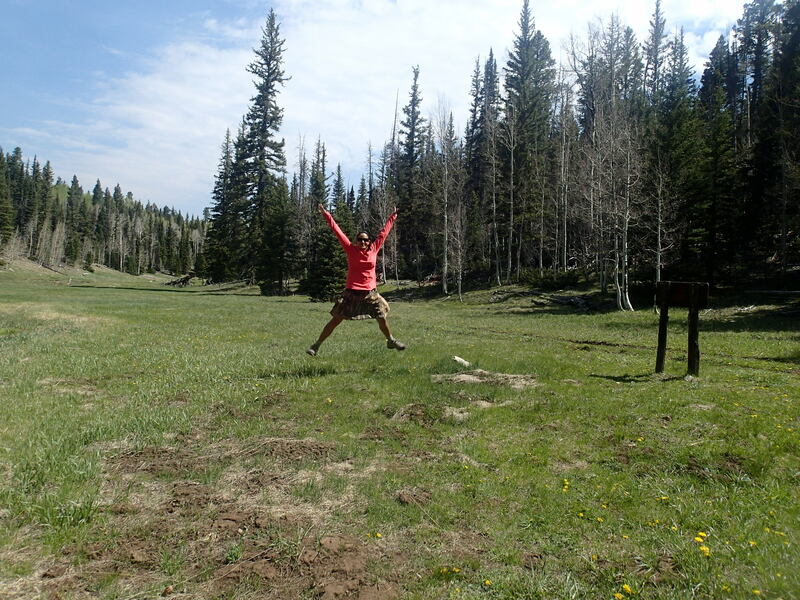 After over two months of hiking, the Utah border was now only 5 days away! 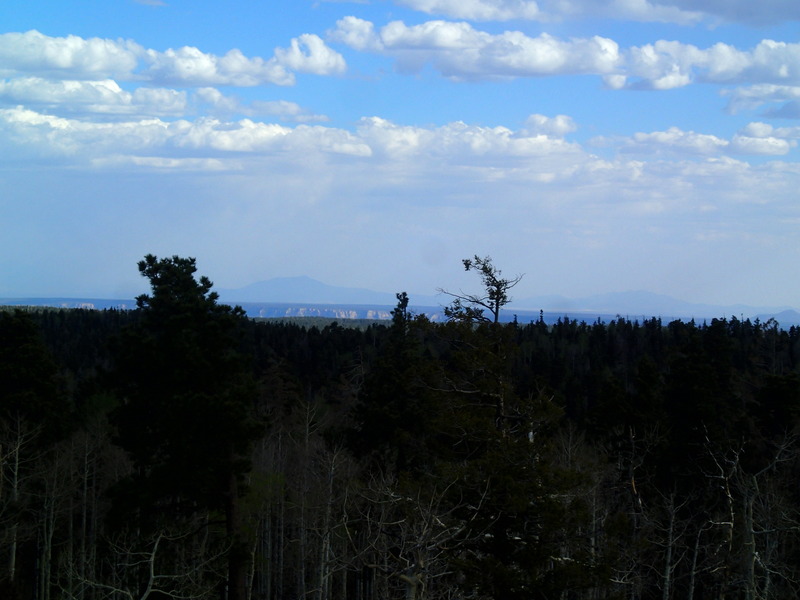 I left the North Rim of the Grand Canyon and hiked north through the large pines, fir, and aspen. 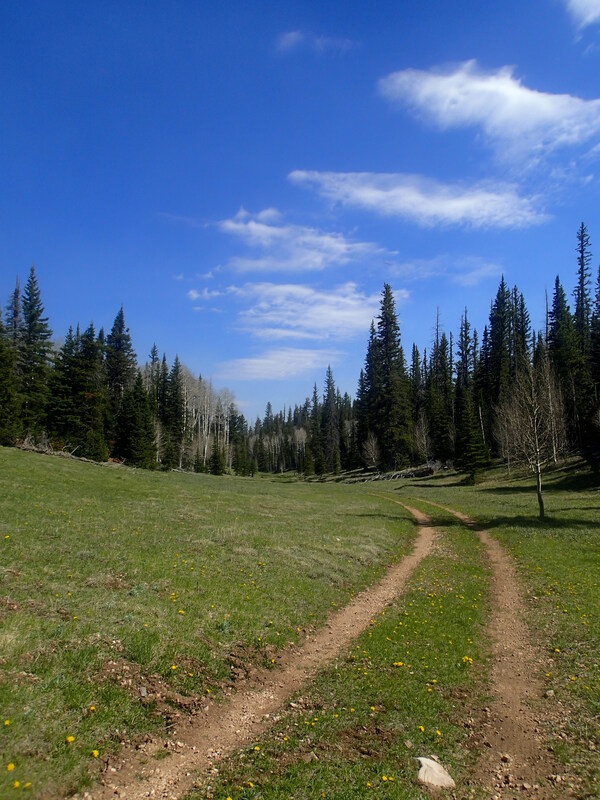 The weather on the Kaibab Plateau, at 9000 ft., was nice and cool and perfect for hiking. 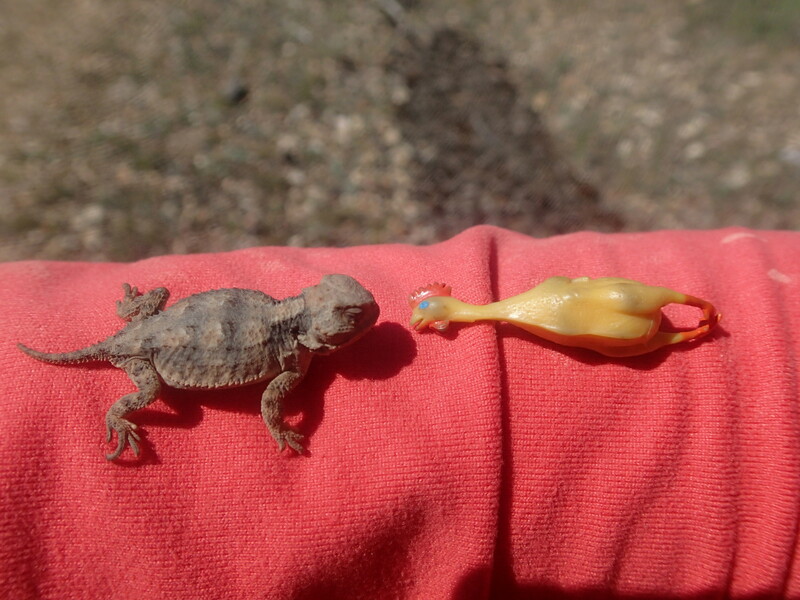 I was delighted to find that the horned lizards were all micro-chicken sized! 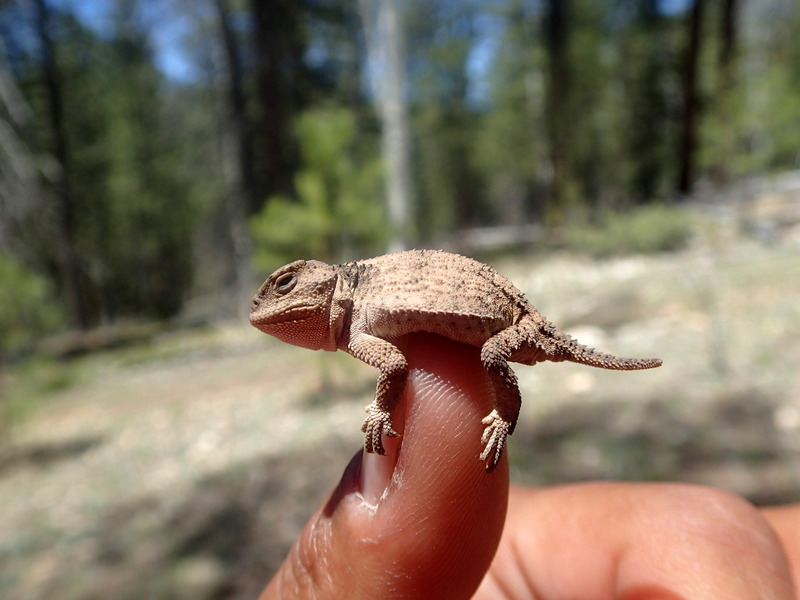 It was so cute!! 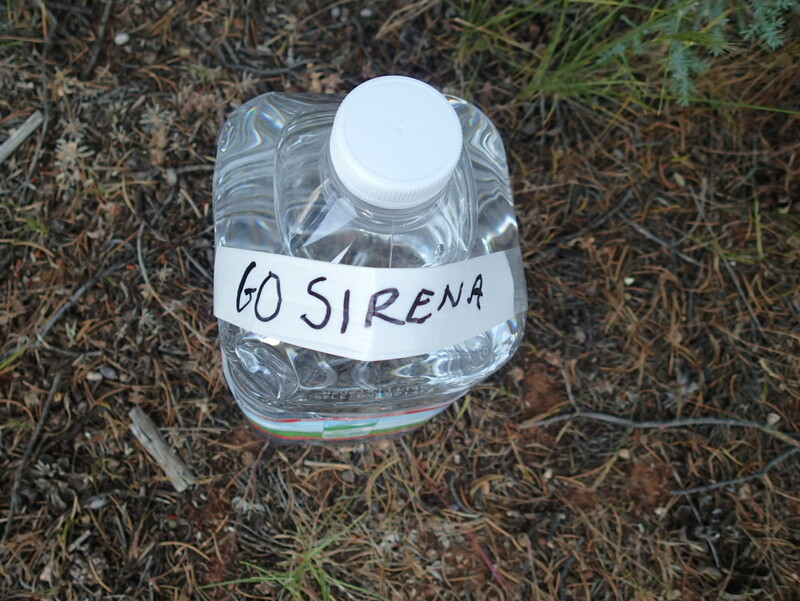 The trail took me to the North Rim Entrance Station, where someone had kindly put out water for hikers. 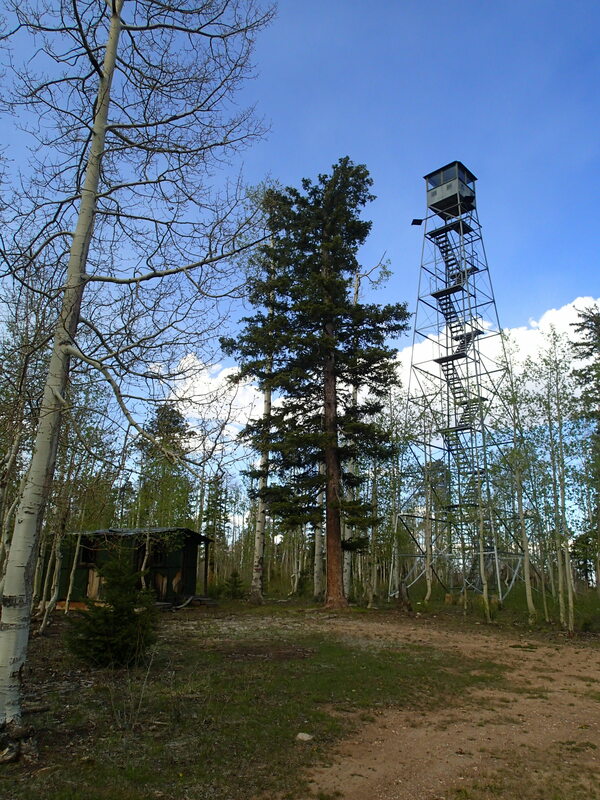 Near the beginning of the Kaibab #101 Trail, there was a fire lookout just a short walk from the trail. It was totally worth the trip and gave me one last view of my beloved Grand Canyon and the San Francisco Peaks. 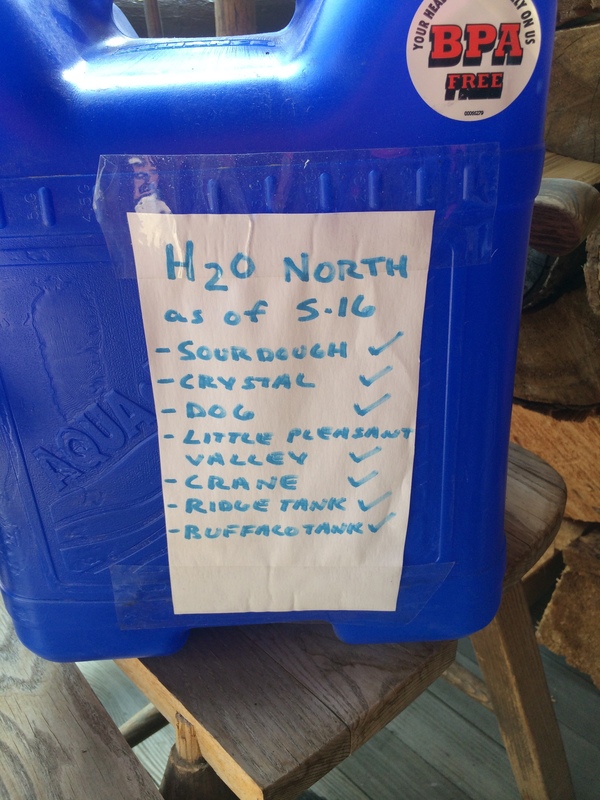 Thanks for the water and the report! 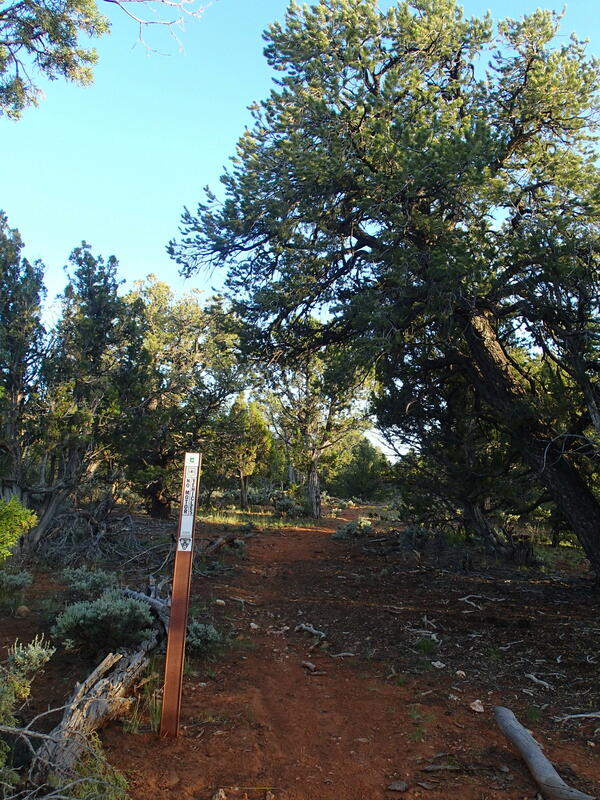 The #101 is a unique experience on the Arizona Trail- traveling through broad, grassy meadows ringed by aspen and fir. 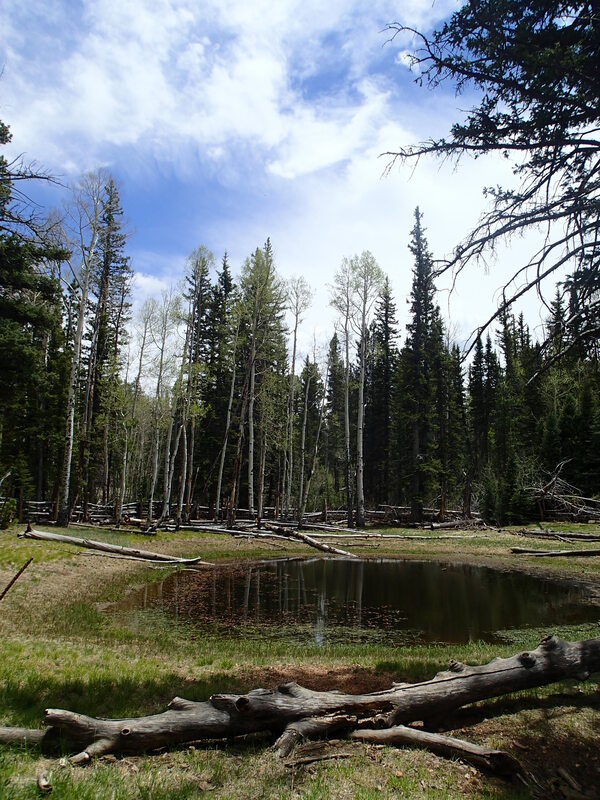 There are many small lakes and the hiking is easy. I found a clearing, made dinner, and called it a night. 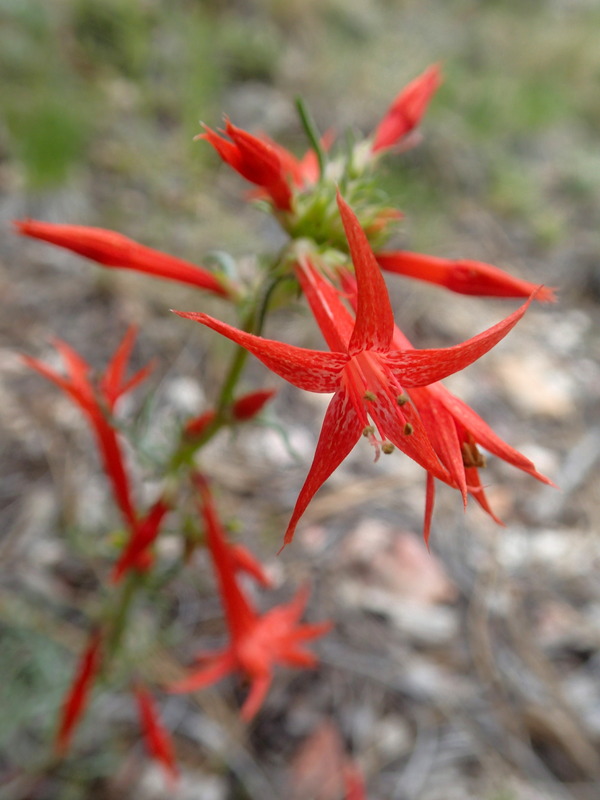 One thing that made my dinners amazing on the AZT was that I added Rising Hy Habanero Olive Oil to each of my meals. It added calories and fat while giving my dinners a kick to keep them from being boring. The next morning, two hikers passed me as I was packing up. It was Free and EZgoing, who are completing the trail by doing big sections at a time. Had a nice chat with them before heading to my next objective: East Rim View. I got a little water at Crystal Spring and played with my self-timer while waiting for the gravity filter to do its thing. Soon, I caught a view of Marble Canyon, the northern part of the Grand Canyon and House Rock Valley below. This was what I’d been waiting for! 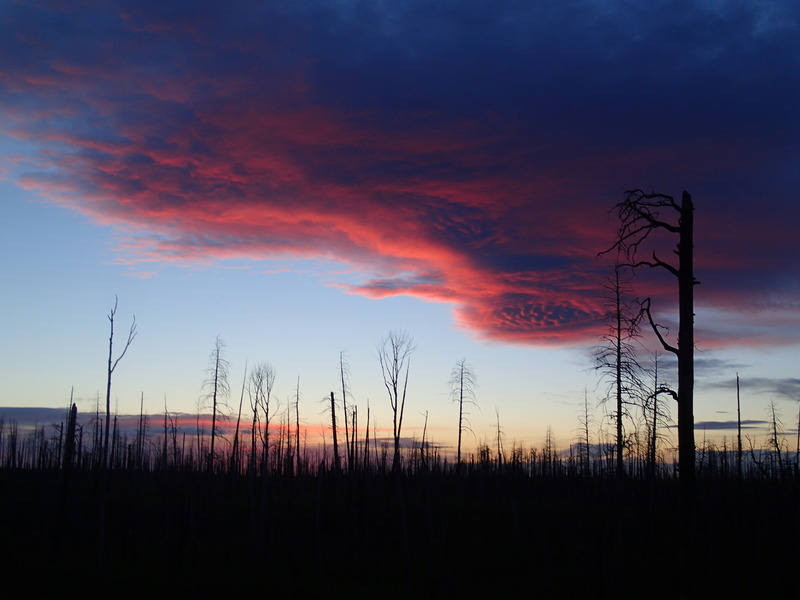 The sky was a bit hazy because of fire in the area, but it was spectacular nonetheless. Stopped short of the parking lot at East Rim View and took a long break to enjoy the scenery. Eventually, I had to continue northward. I met some guys doing trail maintenance and they congratulated me for being almost done. Such a strange feeling to know it will all be over soon. 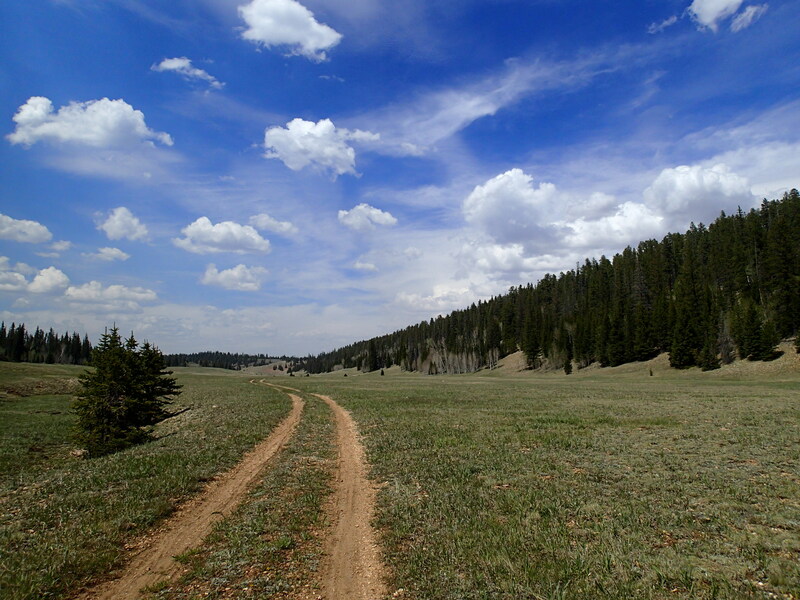 The trail meandered through meadows and entered Tater Canyon. 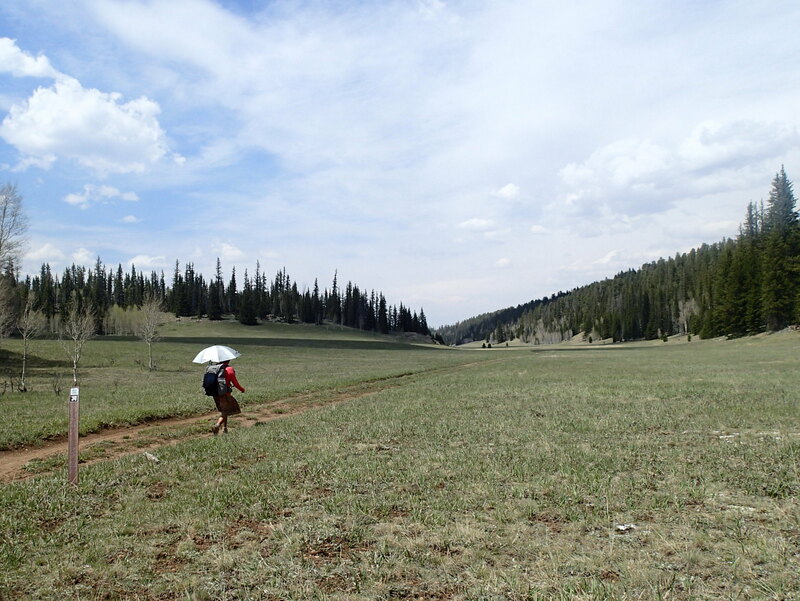 I had a great time, traveling through cool meadows while the rest of the state was boiling hot. 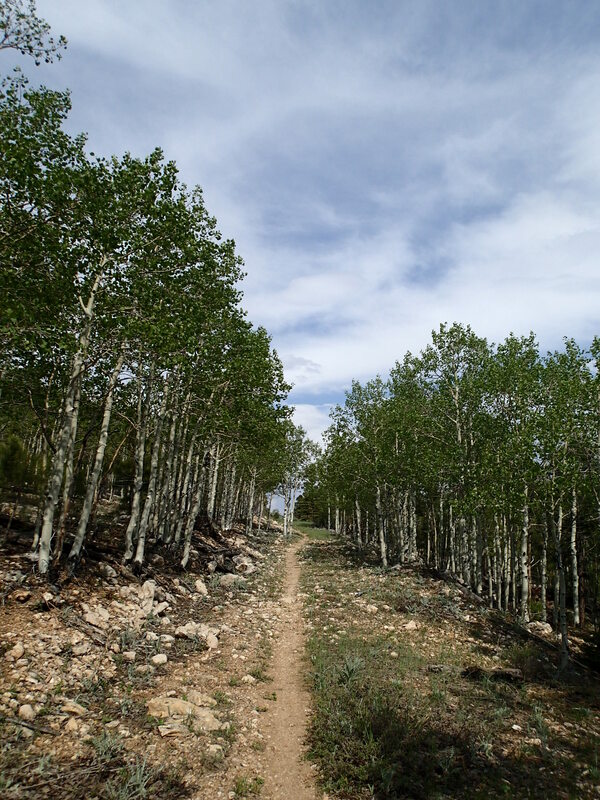 The trail left Tater Canyon and traveled through an aisle of aspen. I’d love to come back and hike this when the fall colors are happening! The sky darkened, but I didn’t get rained on, though I could smell it in the air. I stopped at Crane Lake for some water and didn’t tighten one of my containers all the way and it leaked into my pack. Thankfully my sleeping bag didn’t get wet. 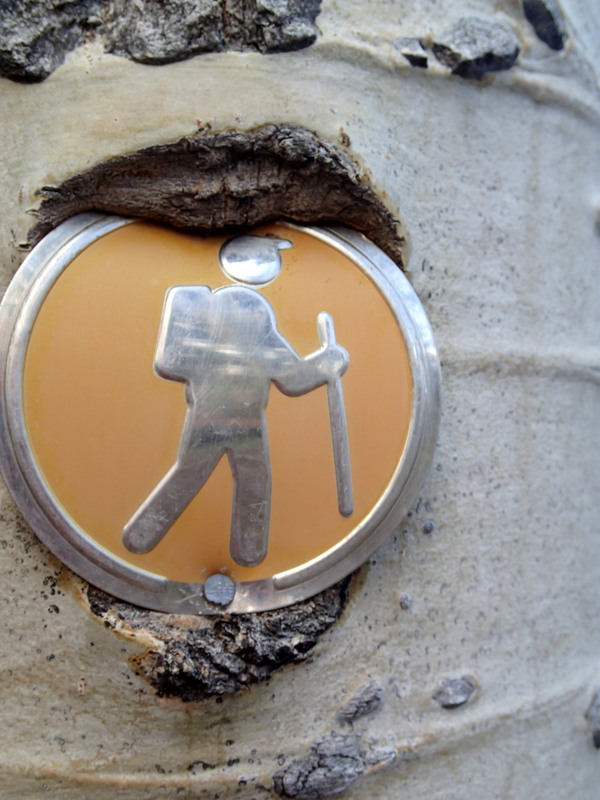 This part of the trail was closed and rerouted onto the highway when I hiked in 2008, and I was looking forward to seeing a piece of trail I hadn’t seen before. It was getting dark as I ascended Telephone Hill in the burn area. The sunset was interesting with all the burnt silhouettes. 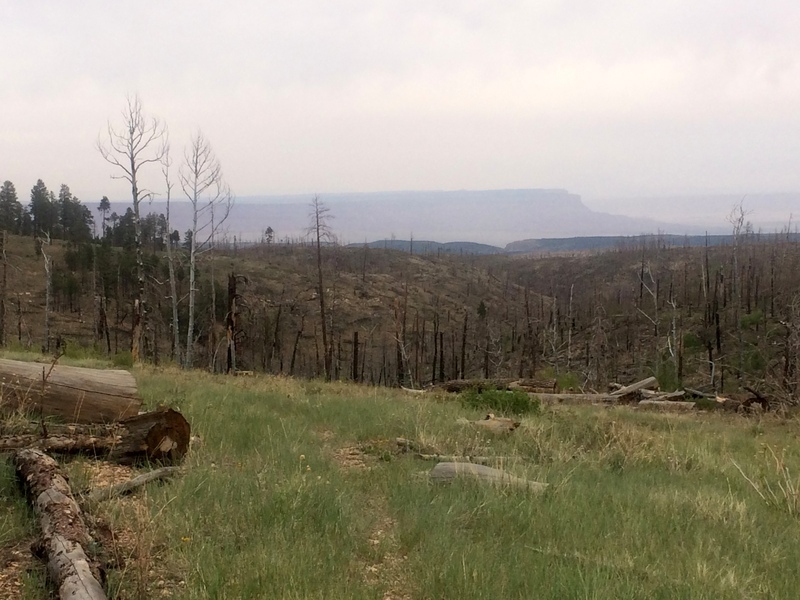 I camped near the trailhead and managed to find an area cleared of burned trees. There were tons of deer running around as I set up camp. 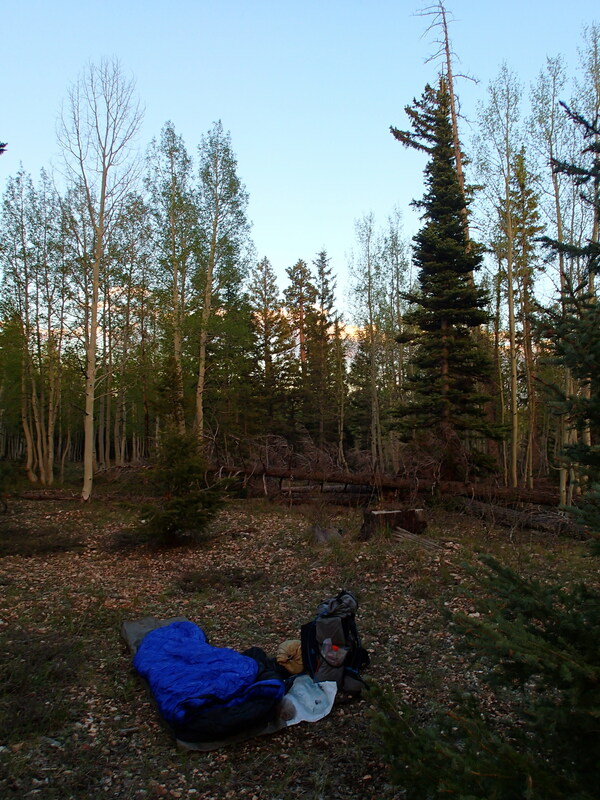 The next morning, I was woken up by deer bouncing past my campsite. My mom flew in from Chicago to join me and my dad, who’d been helping me the whole hike. My parents came out to the trailhead in the morning to visit me and they brought hot coffee and cookies from Jacob Lake. Sweet! I was not too impressed with the trail north of Telephone Hill- besides being completely burned, it was an old road that often was right beneath Highway 67. It was hazy, but I caught a glimpse of the Vermilion Cliffs in the distance. 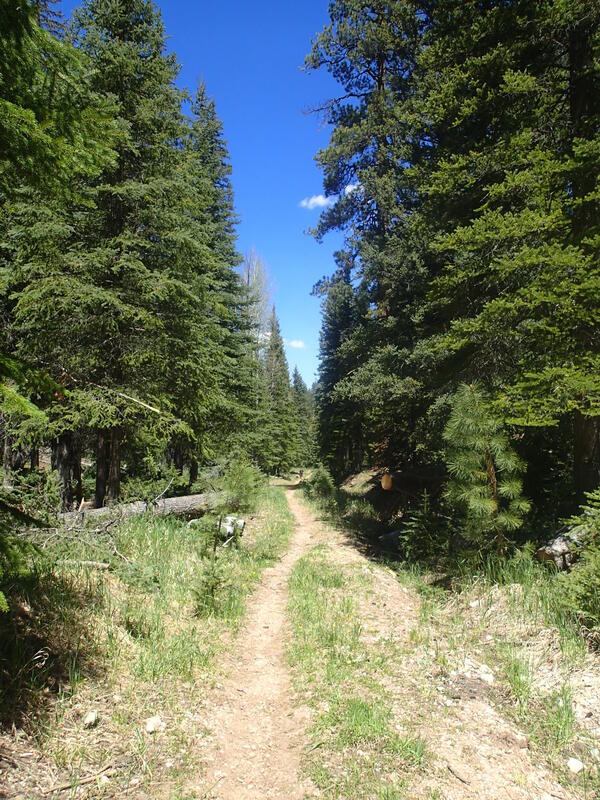 Finally, the trail exited the burn area and was back in the pines again. It entered a canyon and traveled along the bottom. This was where I met two Hayduke Trail hikers in 2008, one of which would go on to save one of my dear friend’s Kimberlie’s life when she had a stroke while on the Pacific Crest Trail in 2012. Crazy how life works sometimes. 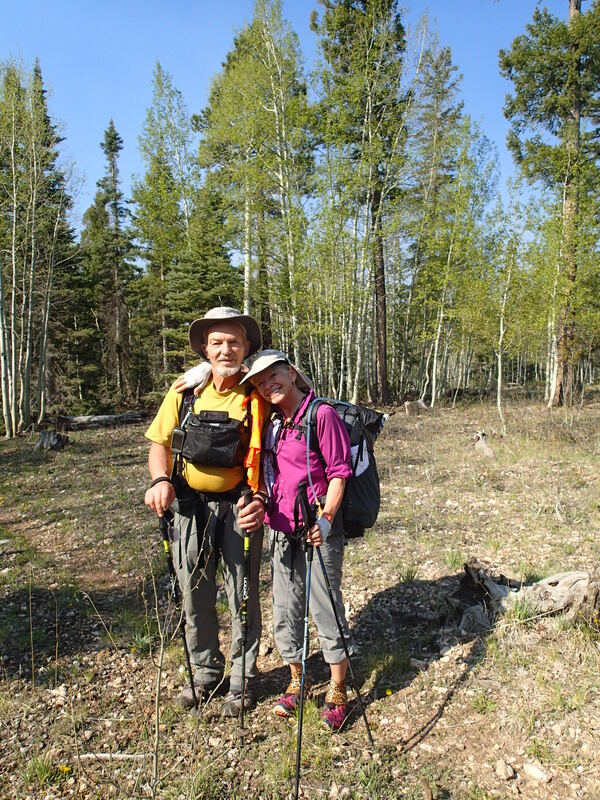 She went on to make a complete recovery and thru-hiked the whole PCT in 2013. Visit her blog to read about it! As I was getting closer to Jacob Lake, I realized it was still early and I didn’t want to be done for the day. Found a great grassy spot and relaxed for a while. I took out my camera and looked at pictures from earlier in the Trek- I saw so many wonderful things and met so many fantastic people. What an experience. Eventually, hunger won over and I hiked the rest of the way to the trailhead, where my parents met me and took me to Jacob Lake. 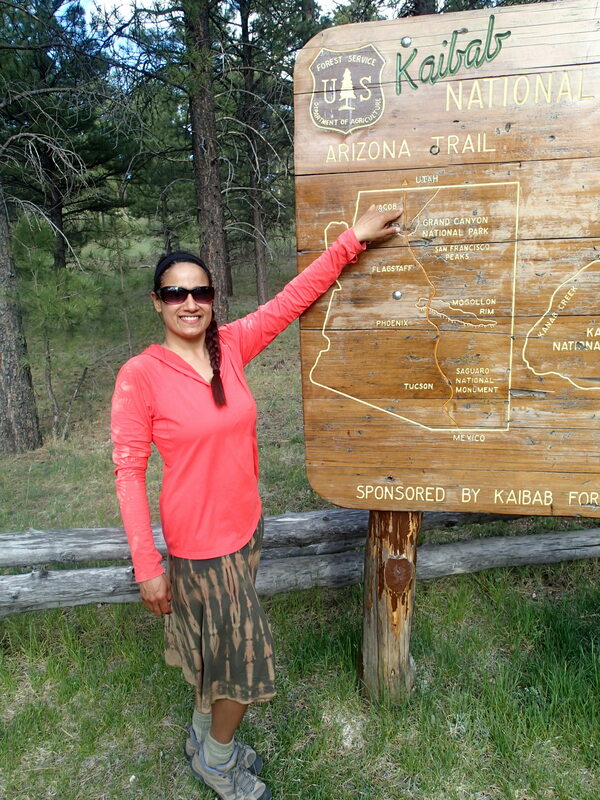 The next morning, I got ready for my last backpacking trip on the Arizona Trail Trek. I planned on hiking to Winter Road, where a group of people would meet me in the morning to hike the final 11 miles to the Utah border. I was pretty sad at the fact that my journey was coming to an end, when I mentioned it to my husband he laughed. Of course you’re sad, he said- your fantasy life where you get to hike all day and get to meet awesome people is almost over. 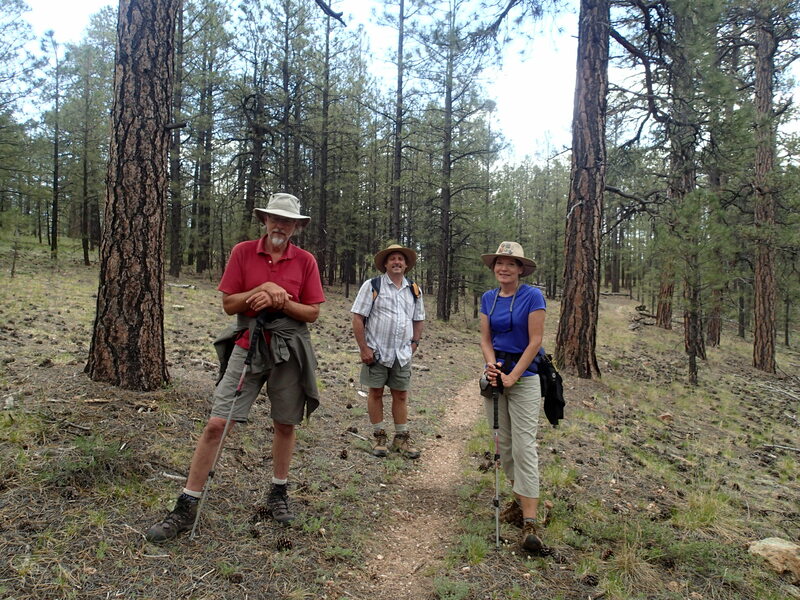 I met some of the trail stewards for the passage north of Jacob Lake and they joined me for a couple of miles. 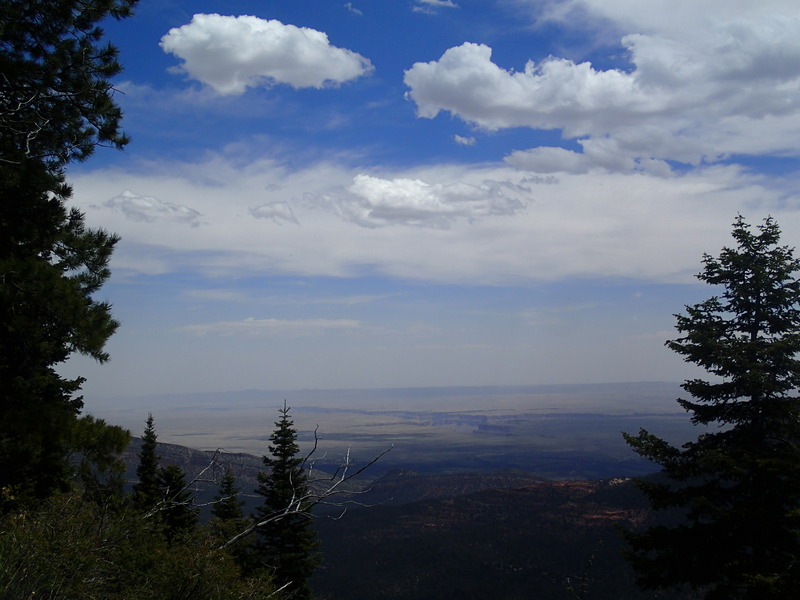 The terrain changed as I descended, from pine forest into pinyon-juniper. 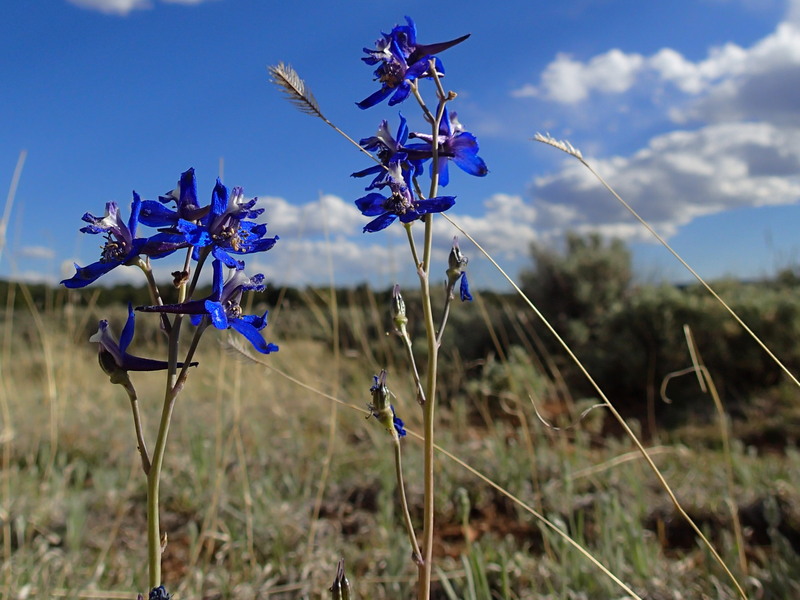 I had followed spring all the way up the state and wildflowers began to appear. And then it happened. 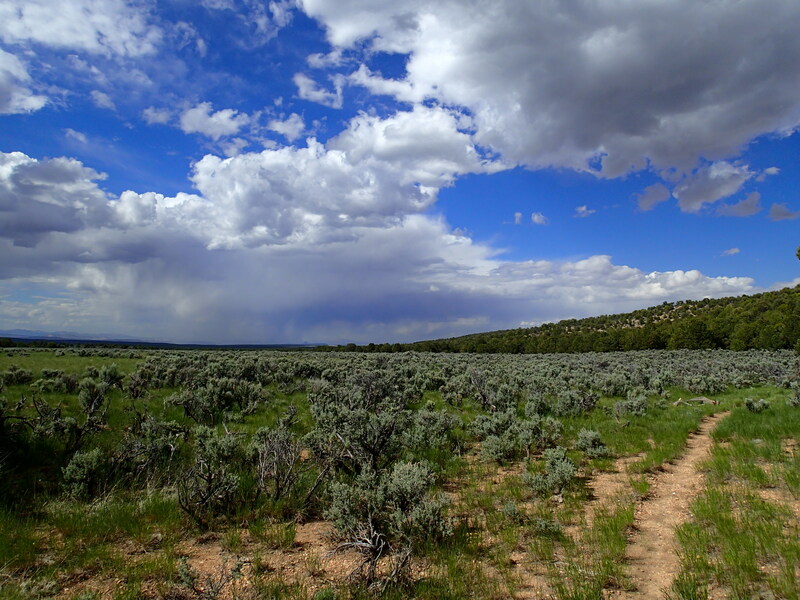 I turned the corner and there it was through the sagebrush flat- my first glimpse of Utah! Colorful cliffs and mountains to the north stopped me in my tracks and I had a little celebration. 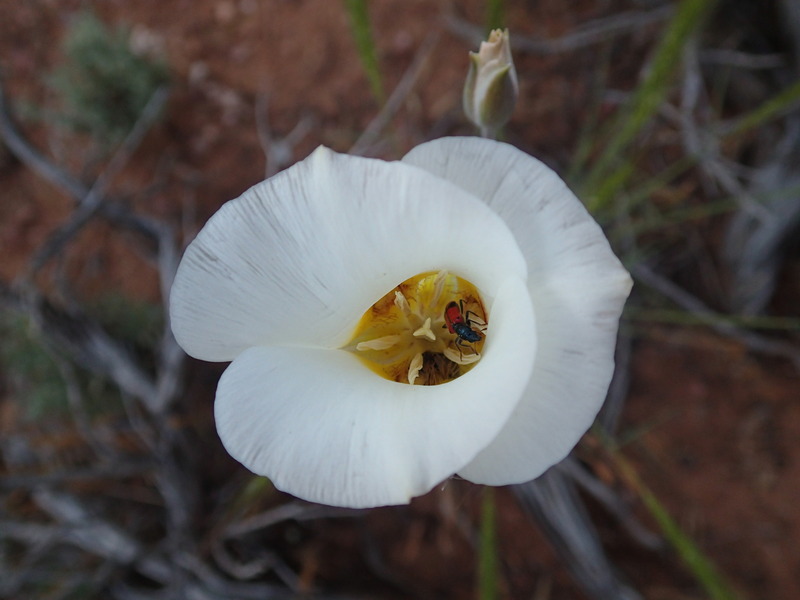 The trail traveled through sagebrush, the dirt underfoot was red, and Utah popped in and out of view. Too soon, I was at Winter Road and my day of hiking was over. I found a spot under a juniper with a view of the red domes of Coyote Buttes. 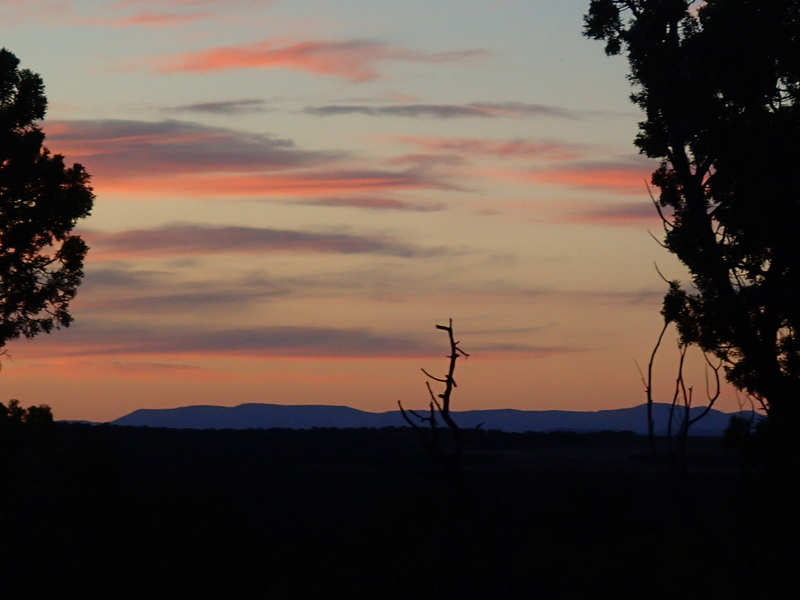 I savored every moment of the last sunset of the trail. Yay! Thanks to all the folks who put water out for me! 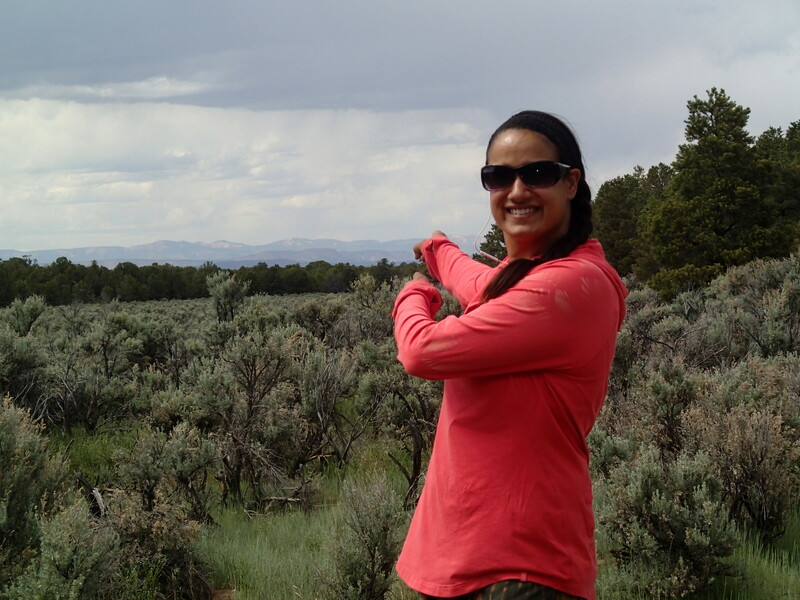 Next up: my last miles into Utah and the completion of the Arizona Trail Trek!